Oral appliances are not the only way to treat Snoring and Obstructive Sleep Apnea, but many patients find this method to be the most practical and, in turn, the most effective. 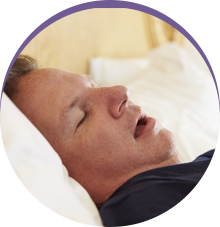 Other treatments for Sleep Apnea and Snoring include continuous positive airway pressure devices (CPAP), adjustable airway pressure devices, expiratory positive airway pressure (EPAP) and surgical options. iS AN Oral Appliance RIGHT FOR YOU? 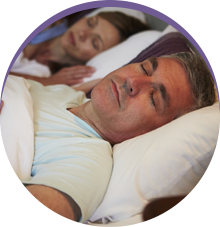 Often recommended by medical and dental professionals as front line treatment for Sleep Apnea and Snoring, oral appliance therapy proves to be an accessible and effective means of treatment for those who suffer from Sleep-Related Breathing Disorders. Although both oral appliance therapy and CPAP are considered front line treatment for mild to moderate Sleep Apnea, oral appliance therapy can be a more comfortable and effective choice for many patients. 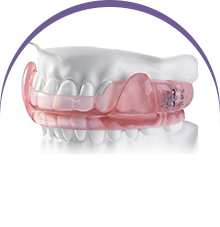 Shaped like a mouth guard, oral appliances are intended to be worn nightly in order to help Sleep Apnea and Snoring sufferers breathe more easily. By holding the lower jaw forward, and therefore holding the tongue forward, these appliances prevent the airway from collapsing during sleep. It is highly recommended that customized appliances are worn, as opposed to a generic, over-the-counter appliance which likely does not provide the comfort or fit necessary to adequately treat Sleep Apnea and Snoring. Many patients find oral appliances to be easier and more comfortable to wear than CPAP devices or other similar respiration masks. Since oral appliances are much smaller and fit easily into the mouth, they are less cumbersome and easier to transport.